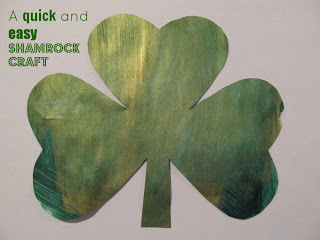 Looking for a quick St. Patrick’s Day shamrock craft so easy that you can do it with kids from toddler to 5? If you can draw, then make a big shamrock on a paintable piece of paper. 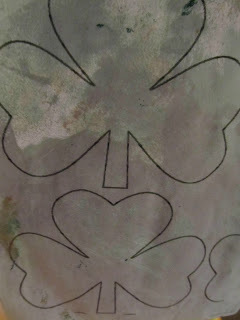 If, like me, you can barely draw stick people, go to Google and search for a printable shamrock template. Print out one for each child on a fairly sturdy piece of paper. Turn it over, with the shamrock shape facing down, and let your child paint the paper with anything that they choose, as long as it’s green. In this case, we used acrylic paint because I have an unreasonable hatred of tempera paint, and sponges because I haven’t packed them for the movers yet. 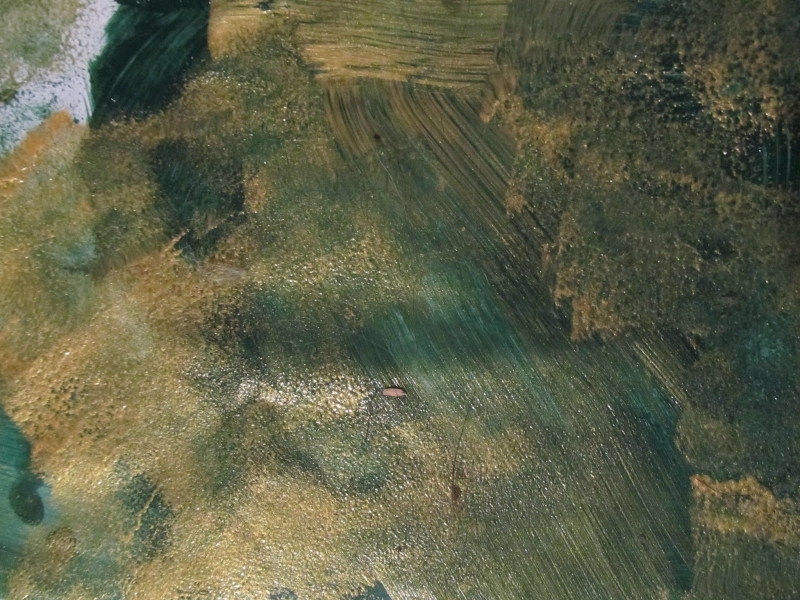 We also used gold paint. 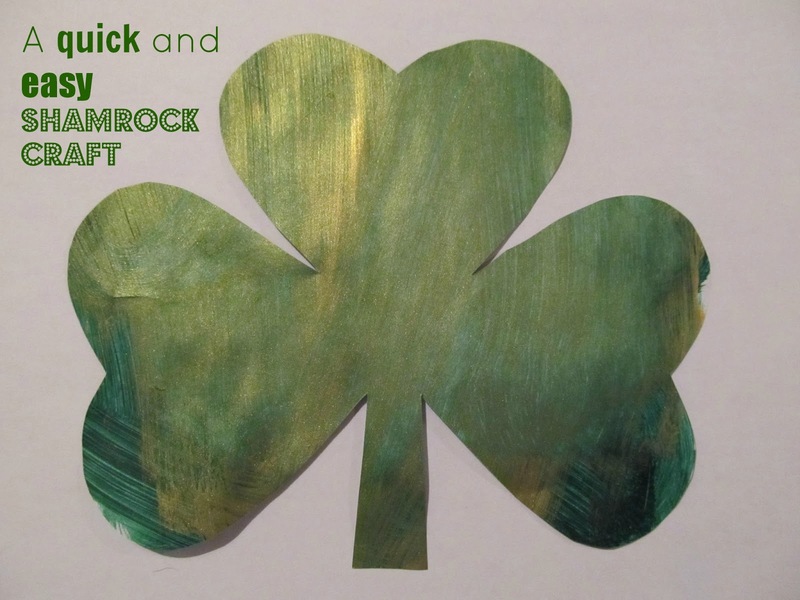 When it’s dry, cut out the shamrock shape and let your child glue it onto the background of their choice. You could also do this as a spring rainbow craft if you don’t celebrate St. Patrick’s Day…cut the colour arcs out first and let them paint each one, then get them to glue the arcs in the right order onto a final background. Really cute and easy! Thanks for sharing. That is cute and a great idea, thanks for sharing. Great idea!! Thank you for sharing at Sharing Saturday!! Pretty cute and super easy GREAT!! Whta a lovely shamrock – it looks so shiny.